What’s really great about the progress being made year after year in the field of DSLR technology is the way in which it makes stunning pictures easier to take than ever before. Compared to the kind of kit that was on the market even just a few short years ago, what can be picked up now for next to nothing is capable of delivering the kinds of results it was once near-impossible to come by on an average budget. But while it’s never been easier to take great snaps thanks to the equipment on offer, there’s still an incredibly huge and important divide between genuinely professional-quality photography skills and the point-and-shoot tactics of amateurs. Coupled with the latest equipment, superior photography skills have the potential to result in the kinds of one-off photographs that are quite simply out of this world. As such, even with the abundance of reference materials and tutorials available online, there’s still so much to be said for classic landscape photography workshops which continue to nurture and develop the professionals of tomorrow. Right off the bat, there technically isn’t a photographer in the world that doesn’t have at least one kind of bad habit or other – amateurs in particular are prone to quite detrimental practices. Bad habits are hard enough to break, but become wholly impossible to overcome unless the fact that you’re actually guilty of one in the first place is pointed out to you by a professional. As such, this represents one of the key benefits of these kinds of workshops which are a unique opportunity to receive feedback and beneficial guidelines in-person. 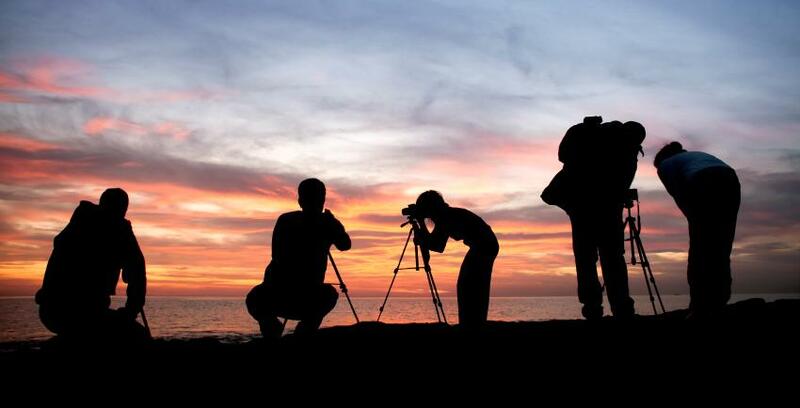 Those who spend their lives organising and running photography workshops are intrinsically linked with the industry in a manner no amateur or newcomer comes close to. As such, these are exactly the kinds of people to go to when it comes to finding out the privileged industry insights that could help you take bold steps toward better photography. From new technological developments to watch out for right through to the software used by industry elite to get the best results with minimal input required, it’s a brilliant opportunity to ‘pick the brains’ of those who know the subject and the industry better than most. It’s one thing to head down to a camera store and have a quick play with what’s on offer, but taking photos in ultra-bright strip-bulb lighting in a store no bigger than a garden shed doesn’t really give you much of an idea of the respective hardware’s capabilities. By contrast, head out into the field for a workshop and chances are you’ll be able to try out a whole arsenal of equipment and accessories you may not yet have had chance to play with, giving you a brilliant insight into how each piece works when put into practice in the real world. There’s often nothing in the world that can make photography more enjoyable than teaming up with at least one other like-minded person. This is especially so in the case of landscape photography where it’s often necessary to sit around for hours on end waiting for that perfect shot to materialise – all time that could be spent with those who share your passion. As such, photography workshops represent one of the best and only ways of getting in the mix with a group of photographers that not only share your interests in general, but also your focus on this specific type of photography. And should you ever decide to go into business, there’s really no such thing as having too many other photographers in your professional contacts network. Last up, one of the most rewarding things of all that come with these kinds of workshops is the way in which they put you to the test in new situations and bring to light so many new approaches for getting the shots you want. As such, chances are you’ll find yourself discovering talents you never knew you had and taking incredible satisfaction in mastering various elements that were once wholly alien to you. It’s often quite easy to fall into a photography ‘rut’ and see progress come grinding to a halt – this really is the ideal way of freeing yourself and taking bold steps forward.